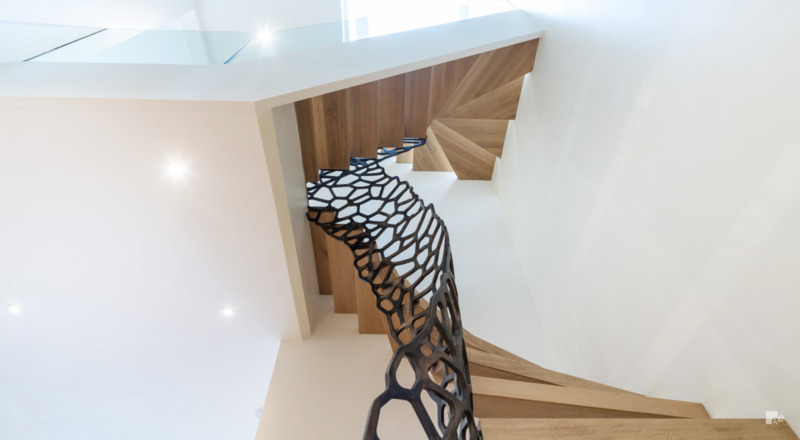 A three-flight staircase was required for an attractive luxury residence in South West London. 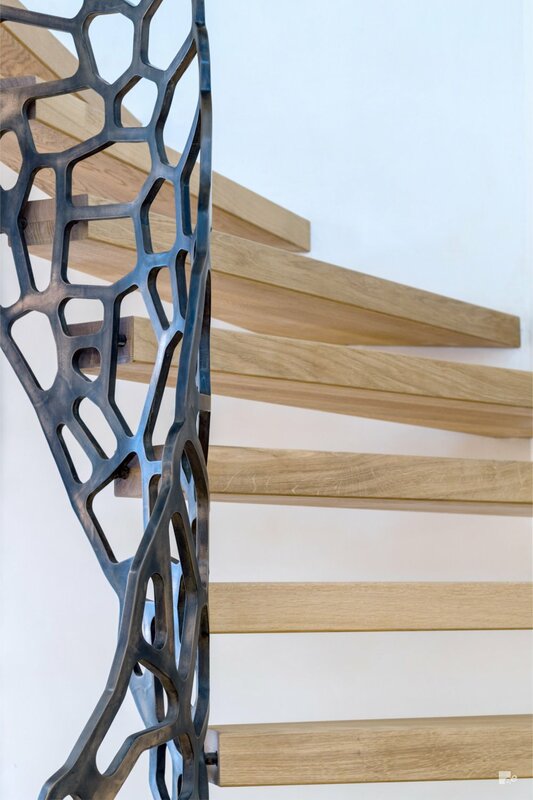 The resulting staircase, which features oak floating treads and glass risers is finished in a stylish liquid metal antique bronze paint. 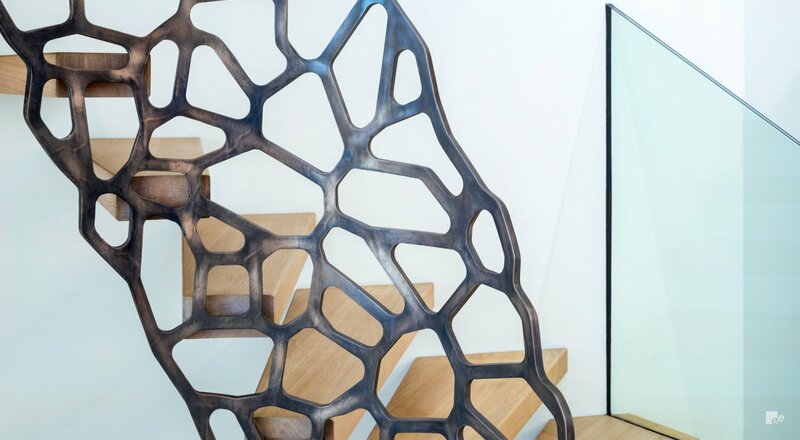 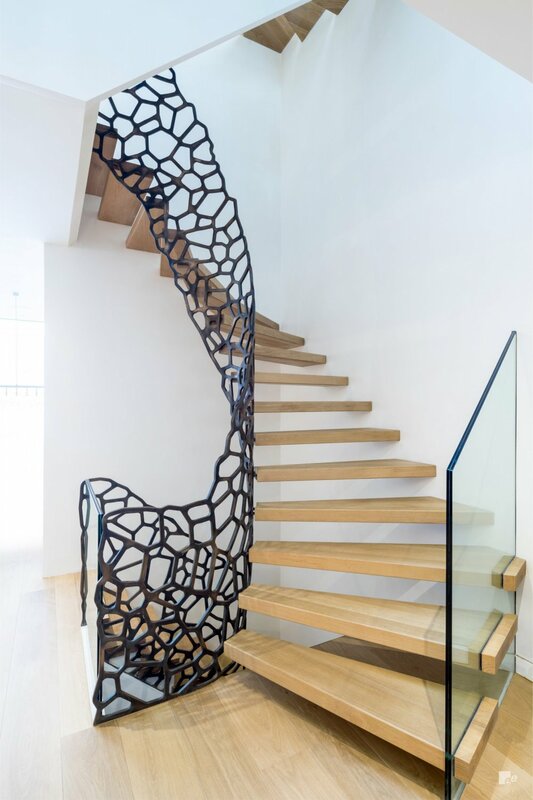 A bold Cells by EeStairs® balustrade, inspired by the shape of cellular structures complements the staircase, while a glass floor edge balustrade runs across its entirety.